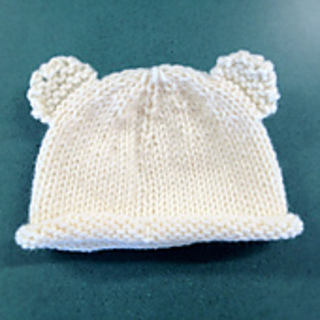 You can use this pattern to make a simple cute beanie, or be adventurous and add bear ears. I added a unique way to add ears. Instead of attaching to hat or by picking up stitches, you simply use the bars between the stitches to continue knitting. In the pattern, there are pictures to guide you. To knit this, you just need to know basic knitting skills: knit, purl, knit in the round, and knit 2 together. This is a great gender neutral gift to give new mamas or papas.